This is a 2019 Parker 2520 XL Sport Cabin Pilothouse powered by a Yamaha F300 XCA Digital Motor.  Options include Horizon Blue Gel Coat Colored Hull Sides, Anchor Windlass, Seaspension Seat Post w/ Footrest (Port & STBD), Position Indicators for Trim Tabs, Tackle Storage Cabinet, Rocket Launcher Rod Holders, L.E.D. Spreader Light, Freestanding 2nd Station Helm in cockpit, Folding Cockpit Lounge Seat, Underwater Lights and more! This Pilothouse boat is in-stock and available for showings now. We Are Open 7 Days A Week For Your Convenience, So Call Or Stop By Today For A Quote.